November | 2014 | KMG Consultants Inc.
It’s believed that over half of communication is nonverbal. What we say with our speech is often our focus, but it accounts for only a portion of our communication with other people. Body language includes our posture, facial expressions, gestures, and anything else we do physically that sends a message to others. Because so much of communication is body language and because we’re often unaware of it, it’s extremely important to learn about it. Utilizing body language can be rewarding and give you an advantage in your life and career. Here are the basics of body language. 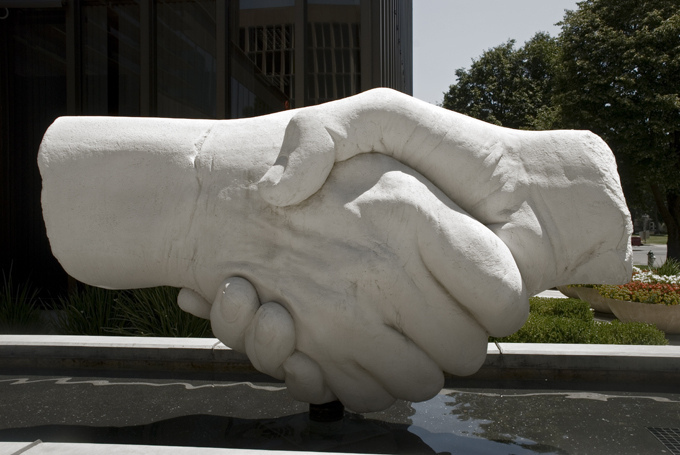 One of the most durable traditions is the handshake – and for good reason. The tactile nature of a handshake creates a positive impression, and forms a lasting bond between humans. Shaking hands will also make you more memorable to those you meet. Utilize the handshake in your professional life by remembering to shake hands – while making eye contact – when meeting new clients or at the beginning of a job interview. You will appear both confident and friendly. Subtly imitating the postures of the person you’re talking to creates feelings of agreement, trust and likability. In fact, this tactic is taught to some salespeople as a way to build rapport with potential customers.Subtlety is key. Don’t copycat, but be aware of what the other person is doing. Arms folded? Legs crossed? Hands in pockets? Think of mirroring these postures. Being caught trying to mirror someone’s body language could be disastrous, but careful mirroring can send powerful subconscious messages. Learn more about KMG Consultants on Manta! A smile is the universally recognized expression for happy feelings. That’s what makes it such a powerful social tool. If you smile often, you have the power to change people’s moods while appearing happy, confident, and trustworthy. 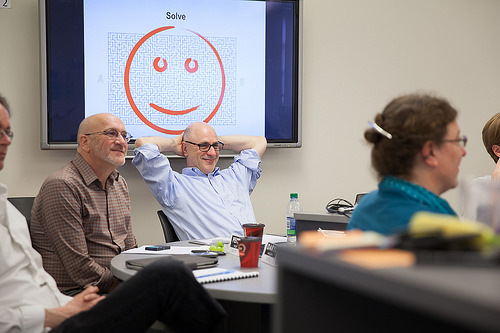 Smiling is perhaps the most effective form of nonverbal communication. This simple muscle movement can improve your own mood, the moods of others, and enhance your social influence greatly. A genuine smile can go a long way. Remember these body language tips and more next time you’re in a social situation. These are the basics, but there are lots of great resources to learn more. For additional information about KMG Consultants, head to our website at http://www.kmgconsultantsinc.com/. In the professional world, you will encounter problems on a daily basis. It is important to employ many different problem-solving techniques so that you are prepared to tackle any project. Here are a few alternative ways you can attempt to solve problems when your conventional methods fail you. It is easy to get lost in a project and become blind to the big picture. Finding a fresh set of eyes to look at your project for the first time can help you find unique solutions to your problems. The best thing about having a new person look at your project is that they won’t have the inherent preconceptions and opinions that you do from having already worked on the project. Therefore, you will receive suggestions, advice, and insights from a completely fresh and open-minded perspective. This might take the form of having another team member do a quick audit of your project, looking away from your project for a while to gain a new perspective, or even passing the project off to someone else entirely to take it in a new direction. Naturally, starting at the beginning and working towards the end is a very straightforward, simple strategy for success. However, there are often steps along the way that are not necessary. If you are getting bogged down, try isolating the end goal of a project and the current context you and/or your client are in now. Then come up with ways that you can get to that conclusion as quickly as possible, ignoring what might be inclined to include in the middle—you might find a more efficient method path to success. You are probably familiar with the process of brainstorming. Something that is sometimes forgotten about brainstorming, which also happens to arguably be its most powerful aspect, is that brainstorming is a time to be crazy! Since the entire point of brainstorming is to think of as many solutions as possible, it is important to embrace every idea, even the radical ones. Give some time to these ideas, and if they don’t work out then there is no harm done—that’s the entire point! I can also be very beneficial to come back to the brainstorming process at multiple times during a project. In the same way, it is important to always be performing self-assessments of your own progress and the project’s progress as a whole. Be sure to check out KMG Consultants on Crunchbase to learn more about our business consulting company based in Southfield, MI.